Did you know we have freshwater mussels in our rivers? The Southeastern Angler association has decided to conduct a freshwater mussel inventory to locate the distribution of the freshwater mussel species that is found in the rivers. These inventories are of great value as they provide basic information on the freshwater mussel populations of the area and aquatic habitat quality. Freshwater mussels are found in small rivers and streams where temperatures are cold enough. They are important bio-indicators of a rivers health. These mussels are primarily sedentary creatures. They can live for many years; between 8-20 years generaly, however some species can live up to 200 years if the conditions are ideal. Freshwater mussels play an important role in water filtration, by feeding on microscopic particles in the water. They improve water quality, which is beneficial to aquatic species including fish populations. 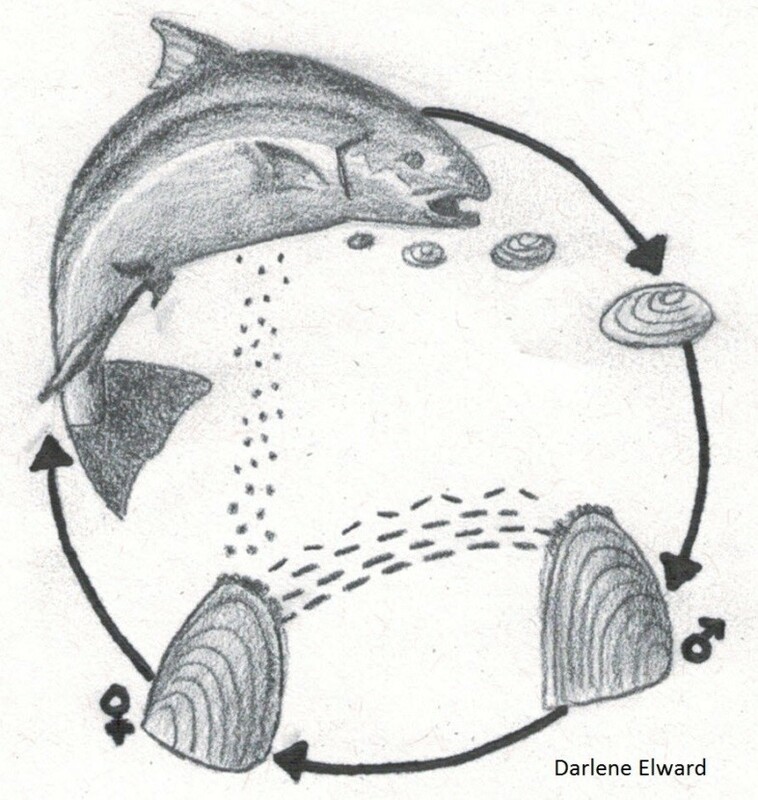 The reproductive cycle of freshwater mussels re-lies on fish found in the rivers. 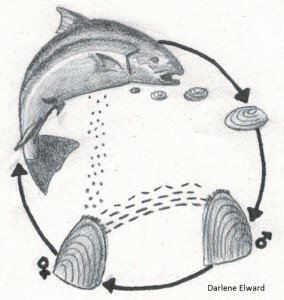 In the spring, the female mussel releases larvae in the water, hoping they will attach themselves to fish gills and fins. Once the mussels are big enough, they settle on the river substrate. Mussels need fish as a host, but they do not cause any harm to them. This relation is commensalism, not parasitism. This mussel is one of the many species found in the watersheds of Southeastern NB. Its status was changed since 2013 to “Special Concern” under the Species at Risk Act, Schedule I, after disappearing from approximately half of the historical sites where it was once found in North America (New Brunswick, Nova Scotia and the North-Eastern parts of the United-States).